The Enlightenment! programme recently purchased an eidograph, a form of pantograph, made by John Davis and possibly used by the Midland Railway in Derby. The first pantograph was constructed in 1603 by Christoph Schiener, who used the device to re-create diagrams and enlarge, but he wrote about the invention over 27 years later, in “Pantographice” (Rome 1631). One arm of the pantograph contained a small pointer while the other held a drawing implement, and by moving the pointer over a diagram, a copy of the diagram was drawn on another piece of paper. By changing the positions of the arms in the linkage between the pointer arm and drawing arm, the scale of the image produced can be changed. 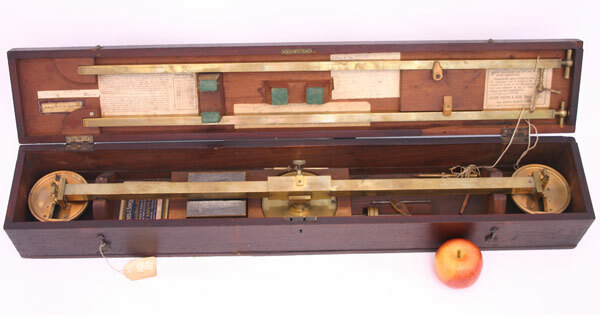 A more complicated version called the eidograph was developed by William Wallace in 1831.